Capcom has done plenty of damage to its robot busting mascot, but he's not beyond repair. We're almost a month into Mega Man's 25th anniversary, but you wouldn't know it, based on Capcom's refusal to discuss the matter. The company's gone on record as saying it has "top men" working on his birthday (TOP...MEN), but what does that mean? It's clear the blue bomber has an image problem, largely because Capcom axed both Mega Man Universe (Xbox 360, PS3) and the fan driven Mega Man Legends 3 for 3DS. The fact that Mega Man creator Keiji Inafune bolted the company didn't help. 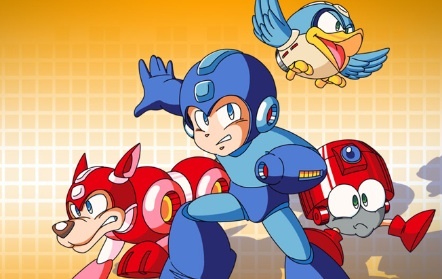 At this point, we don't know if Mega Man games are in the works. That's a shame, since it appeared Capcom had breathed new life into the character with the highly regarded Mega Man 9 and Mega Man 10. It's obvious something must be done. The publisher would only do further damage by ignoring the 25th anniversary for one of the most beloved video game characters in history. Might as well start here. Mega Man still has quite a few supporters the world over, and plenty more ticked off at Capcom's recent decisions. Get one of the top dogs to apologize to these gamers and make Mega Man a priority. The healing starts here. You won't see a new Mega Man title in the near future, but Capcom still has a wealth of retro games at its disposal that fans adore. Yes, these titles have been re-released before, but now would be a great time to deliver the NES and SNES games on the cheap, preferably through the 3DS eShop, the App Store, Xbox Live and PlayStation Network. This also includes compilations. At this point, Capcom must go back to the drawing board and come up with something that knocks gamers' socks off. No more 8-bit inspired adventures like Mega Man 9 and Mega Man 10. That ship sailed a while ago. No, it's time to reinvent the character entirely with a 3D title featuring high-resolution graphics, new gameplay elements and characters. Then release it for all the major systems, including PlayStation Vita and especially 3DS, to make up for the loss of Legends.